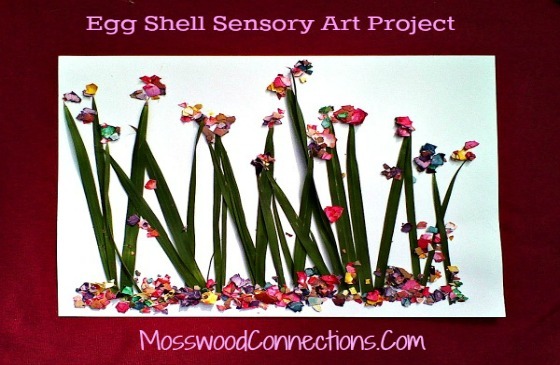 A fun activity for engaging sensory seeking children! I have recently started working with 4-year-old twins on the autism spectrum. I am just getting to know these kids but I immediately observed that both of the kids were very sensory seeking. So I asked Sarah for some ideas and she came up with this Squishy Squashy Sensory Balloon Game idea. 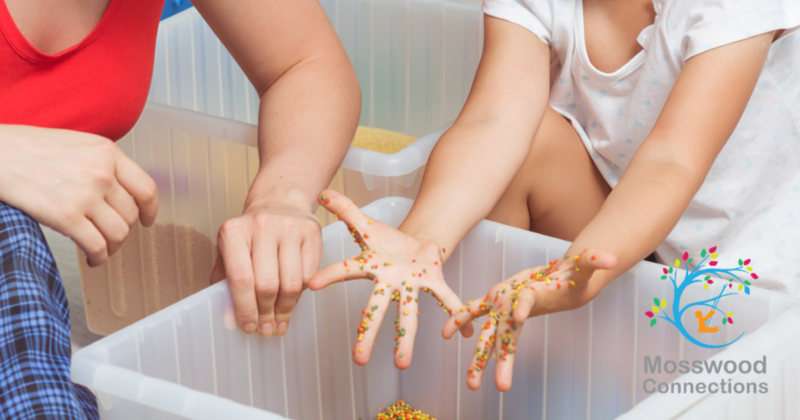 Sensory play for kids is such an important piece in child development, so as many sensory games we can introduce, the better. 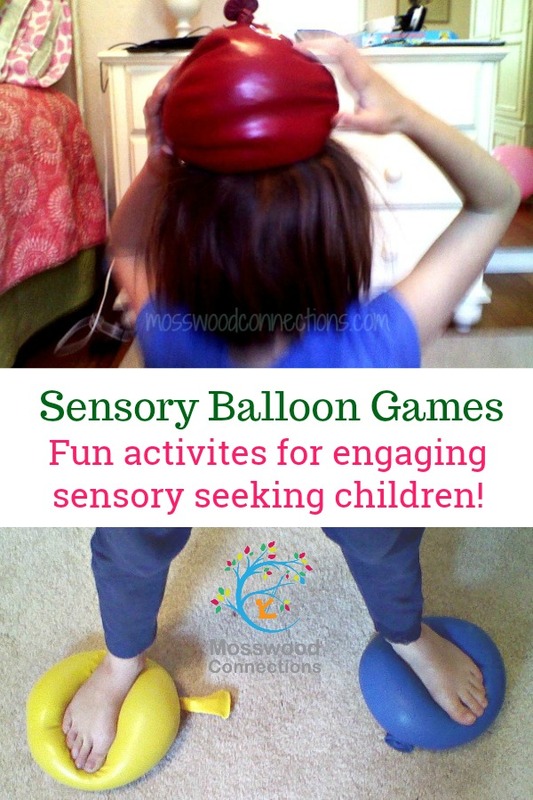 I have been trying out the squishy squashy sensory balloons with a few of my clients and it has been fun seeing the different ways that the kids choose to discover and play with these awesome feeling balloons. Since the balloons are so big, they are easy to fill. I used a paper funnel for some and just poured straight from the package for others. Fill the balloons with the filling of your choice. Do not overfill or the balloons might break. Tie closed. Make a stepping “stone” path. Incorporate it into an obstacle course and have the kids step on the balloons. This activity really exercises the vestibular system (balance) as the body has to adjust as you step on different surfaces. One child really wanted me to blow up the balloons, so I did. They ended up a funny shape. 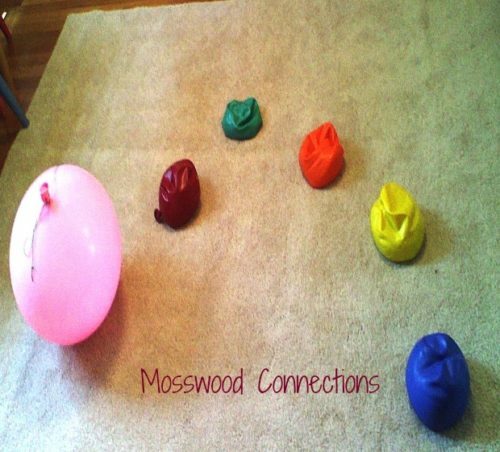 Blow up the squishy squashy sensory balloons (just a little or they may pop) and explore the sounds and feeling the balloons have. I had tied the balloons shut with rubber bands and string to make it easier to add and let out air. Play catch with the balloons. Have the kids guess what is inside by feeling the balloons. 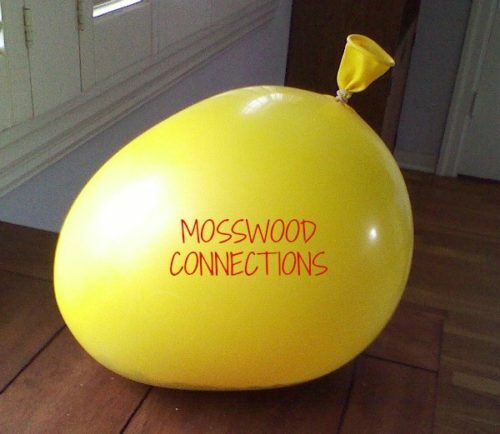 Use the heavier balloons (the cornmeal balloon is the heaviest one that I made) and use them as lap fidgets when you want an active child to sit still. 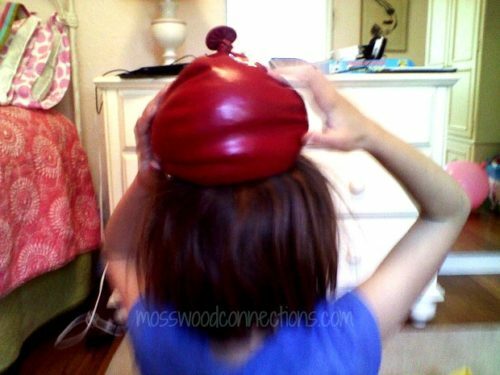 Have the kids try balancing the squishy squashy sensory balloons on their heads. Those are some of the ways that we have played with the squishy squashy sensory balloons. I am going to try them out with more kids and I am sure that we will find new ways to play with them. I was kind of surprised by how great these sensory balloons feel and how fun they are to play with. They have been one of my more popular toys with the younger set. KidSpot has some fun ideas for more balloon games. Hands On As We Grow has 30 Ways to Play with Balloons. How about you? How would you play with these balloons?